Professional sports handicapper Kelly Stewart on the rise of sports betting and her predictions for the NCAA Tournament. Uber Eats, the ride-sharing company’s food delivery arm, is offering up free food to March Madness fans this week if the first round of the NCAA men’s basketball tournament produces another “Cinderella” upset. The delivery service, which is also sponsoring this year’s tournament, will offer a free $20 off orders if one of the tournament’s four 16-seeds upsets a 1-seed. Uber Eats said the coupon will be available on orders within 15 minutes after the game ends. The $20 worth of free food is far from a sure thing. A 16-seed has only defeated a 1-seed once in the NCAA tournament history. 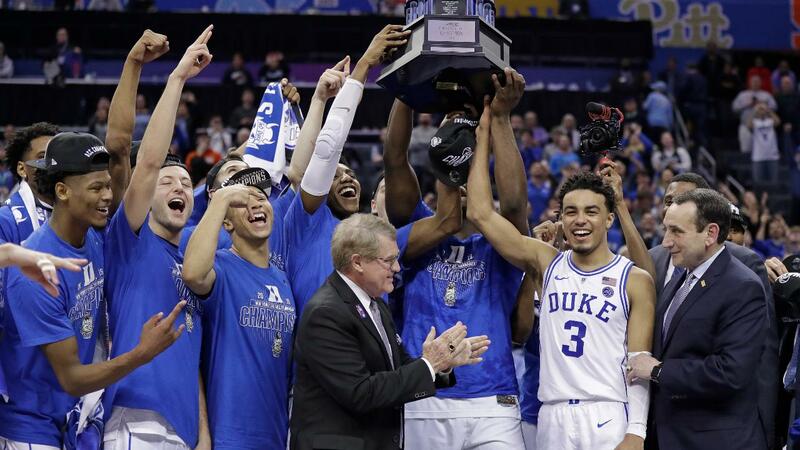 The miraculous victory occurred during last year’s tournament, when the University of Maryland-Baltimore County beat the top-seeded Virginia Cavaliers, who were considered one of the tournament’s favorites. This year’s 16-seeds include the North Dakota State Bison, who face the Duke Blue Devils; the Fairleigh Dickinson Knights, who face the Gonzaga Bulldogs; the Gardner-Webb Runnin’ Bulldogs, who face the Virginia Cavaliers; and the Iona Gaels, who face the North Carolina Tar Heels. The “Cinderella” discount is one of several promotions Uber Eats will run during the NCAA tournament. For example, U.S. and Canadian customers can redeem a 16 percent discount on their orders during the “Sweet 16” round. Uber Eats is one of several companies competing for market share in the food delivery sector. Uber Eats earned an estimated $640 million in revenue in the fourth quarter of 2018, ranking just behind GrubHub and DoorDash, according to research firm Technomic. The first round of the 2019 NCAA men’s basketball tournament begins Thursday and runs through Friday.